Judith Haudum holds a Master's degree in exercise science from the University of Salzburg, Austria, and one in sports nutrition from the University of Salt Lake City, Utah, US. She has worked in various sports, including team sports and endurance sports. Currently she is the sports dietician at the Olympic training Centre in Salzburg and she has her own company where she provides nutrition support to athletes of all levels. She was the head of nutrition at the BMC Racing Team and currently works with cyclists from several World Tour teams. 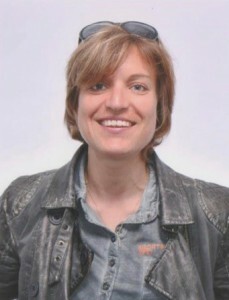 She is also adjunct faculty at the University of Salzburg and Fachhochschule Bern/Sportschule Magglingen. Her main areas of interest include endurance sports (cycling) and eating disorders in athletes. She is a member of several professional associations, e.g. ECSS, ACSM, PINES, ÖGE, SCAN, ESNS, ÖGSE.